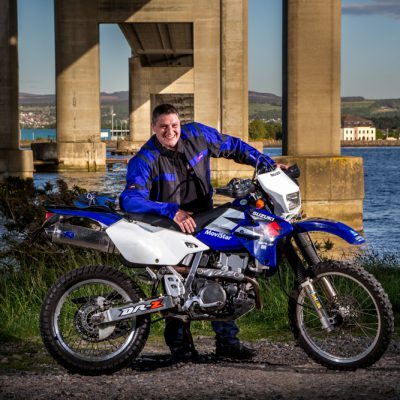 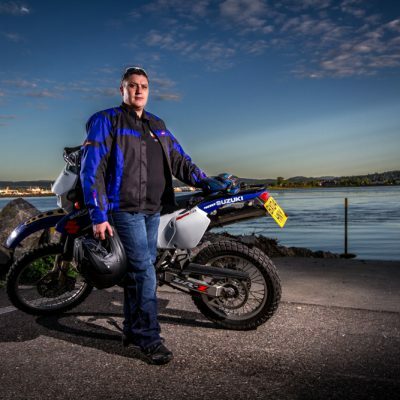 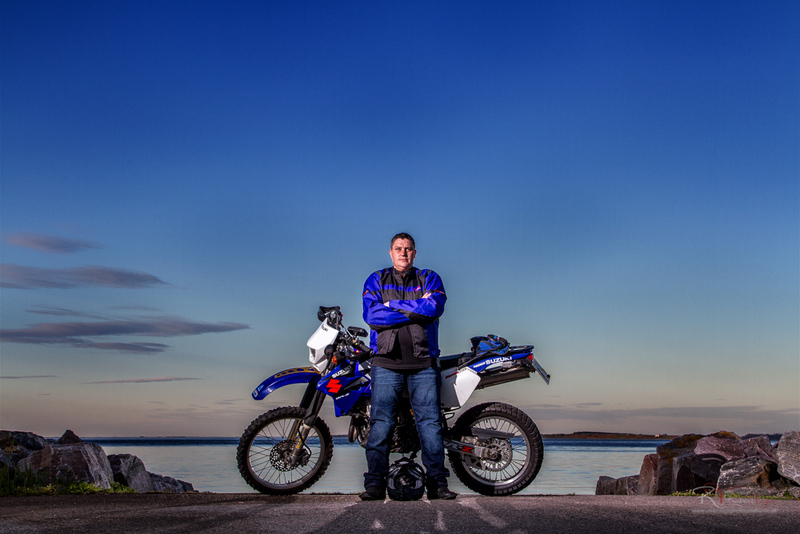 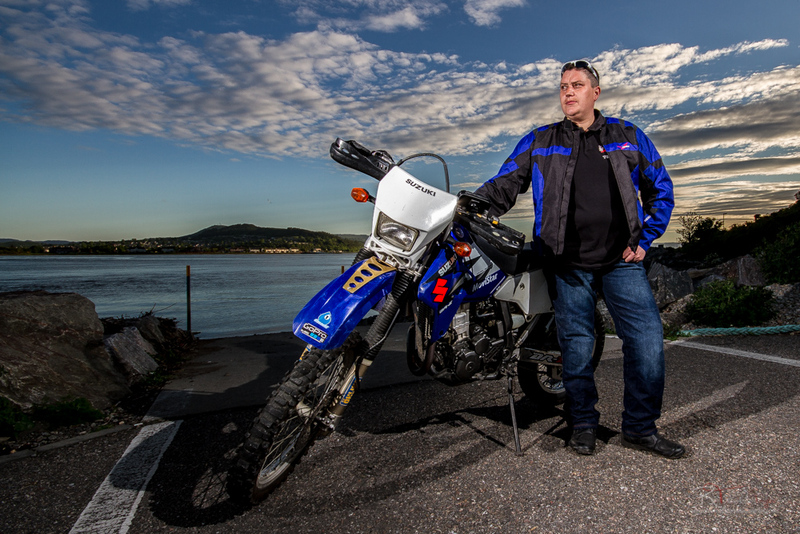 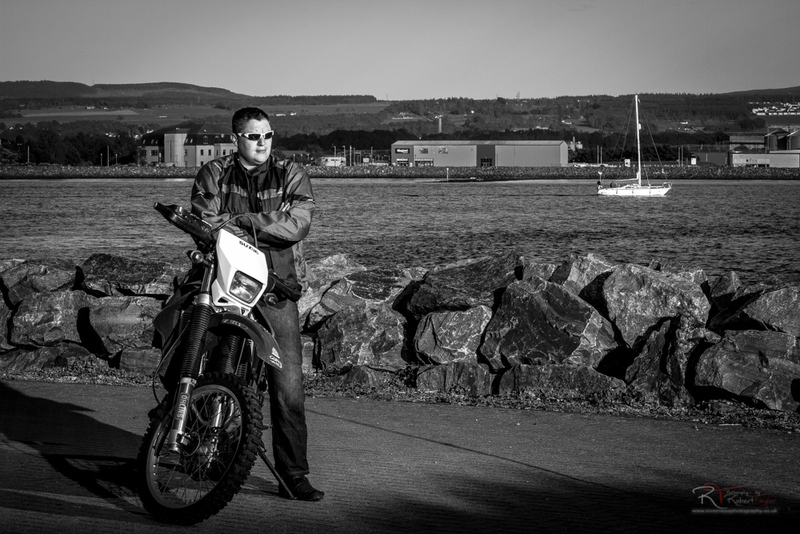 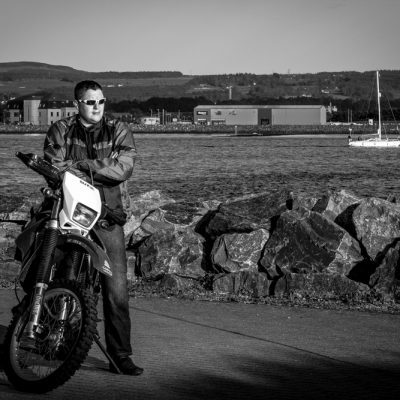 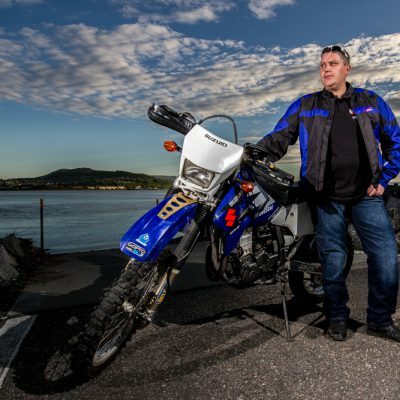 Gavin is a bike and car enthusiast who brought along his Suzuki DRZ400 for a shoot at North Kessock. 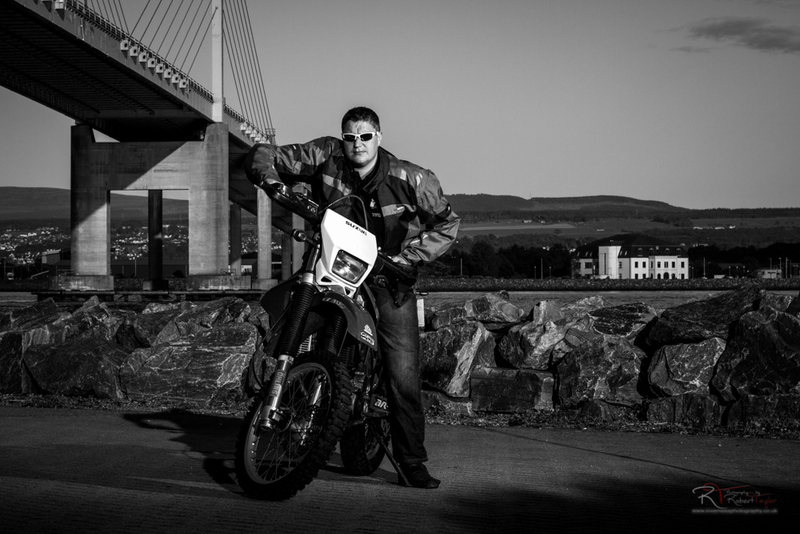 On a previous portrait shoot at the other end of the bridge, I had used the lines of the bridge to create an amazing backdrop to the shot and though it would look amazing with a bike. 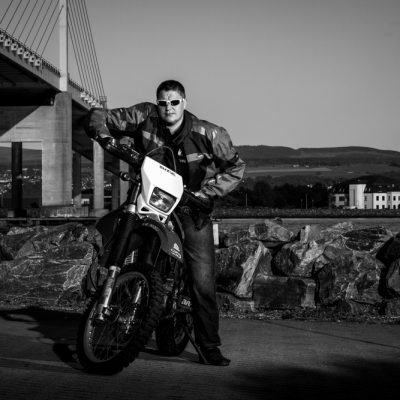 Unfortunately that side of the bridge wasn’t suitable for bikes so we headed to the other side at North Kessock hoping to use the lines of the bridge as the backdrop, Sadly, the curve in the bridge at that side meant it wasn’t as dramatic as I’d hoped. 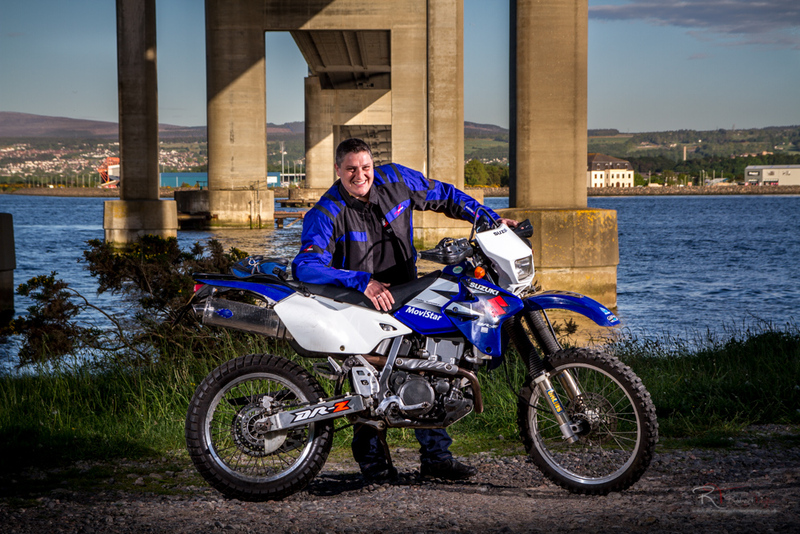 Undeterred, we made good use of the location to include the bridge, sea and the clouds that were rolling in. 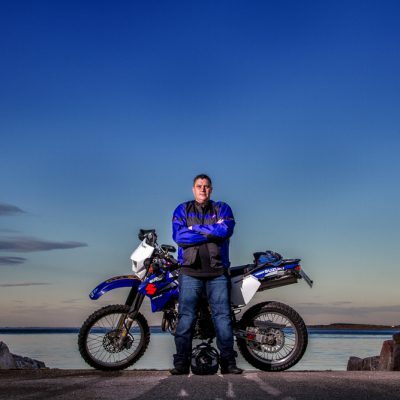 I went out looking to have a dramatic background and ended up with one of the best shots of the evening having a backdrop of nothing more than a plain blue sky with a couple of wispy clouds sneaking in at the side. 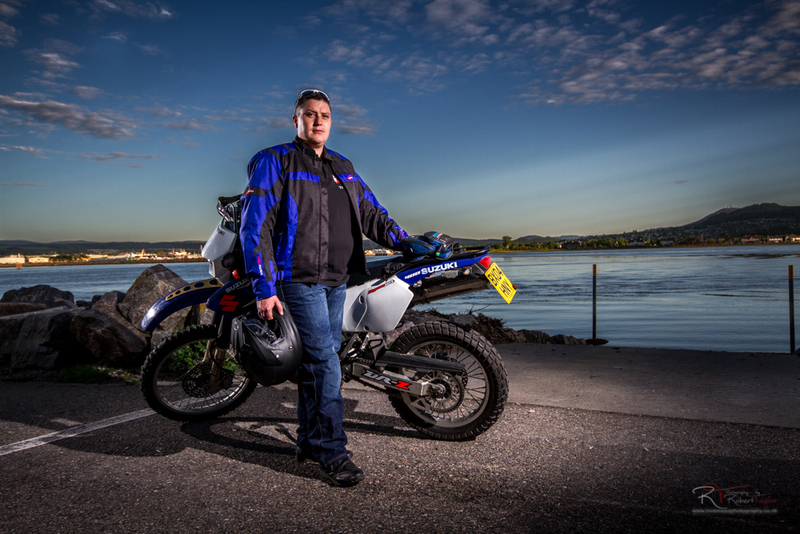 It’s important to have a plan of action when heading out on a shoot, but it’s just as important to be prepared to adjust or completely change that plan.